It's difficult to make good bread today, but it's darned easy to make hot, fresh, world-class bread tomorrow. This focaccia, topped with olives, rosemary, and pistachios, requires no kneading or stretching and results in a crisp, olive oil-scented crust and a puffy, moist, well-risen internal crumb with just the right amount of tender chew. The crux of it is a highly hydrated, no-knead, no-stretch dough. That's right. Zero kneading, zero stretching. It's just about the easiest bread you can imagine making. All it takes is a bit of time. An overnight rest at room temperature precludes the need for any kneading. A high hydration dough spreads itself out into the pan before baking. Extremely high oven temperatures lead to better internal structure and a crust that crisps while the interior crumb stays moist. Combine flour, salt, yeast, and water in a large bowl. Mix with hands or a wooden spoon until no dry flour remains. The bowl should be at least 4 to 6 times the volume of the dough to account for rising. Cover bowl tightly with plastic wrap, making sure that edges are well-sealed, then let rest on the countertop for at least 8 hours and up to 24 hours. Dough should rise dramatically and fill bowl. Sprinkle the top of the dough lightly with flour, then transfer it to a lightly-floured work surface. Form into a ball by holding it with well-floured hands and tucking the dough underneath itself, rotating it until it forms a tight ball. 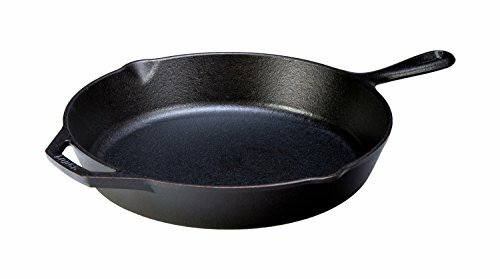 Pour half of oil in the bottom of a 12-inch cast iron skillet or large cake pan. Transfer dough to pan, turn to coat in oil, and position seam-side-down. Using a flat palm, press the dough around the skillet, flattening it slightly and spreading oil around the entire bottom and edges of the pan. Cover tightly with plastic wrap and let the dough stand at room temperature for 2 hours. After the first hour, adjust an oven rack to the middle position and preheat oven to 550°F. At the end of the 2 hours, dough should mostly fill the skillet up to the edge. Use your fingertips to press it around until it fills every corner, popping any large bubbles that appear. Lift up one edge of the dough to let any air bubbles underneath escape and repeat, moving around the dough until there are no air bubbles left underneath and the dough is evenly spread around the skillet. Spread olives and pistachios all over the surface of the dough and press down on them with your fingertips to embed slightly. Drizzle with remaining olive oil. Sprinkle with rosemary and coarse salt. Transfer skillet to oven and bake until top is golden brown and bubbly and bottom is golden brown and crisp when you lift it with a thin spatula, 16 to 24 minutes. Using a thin spatula, loosen focaccia and peek underneath. If bottom is not as crisp as desired, place pan on a burner and cook over medium heat, moving the pan around to cook evenly until it is crisp, 1 to 3 minutes. Transfer to a cutting board, allow to cool slightly, slice, and serve. Extra bread should be stored in a brown paper bag at room temperature for up to 2 days. Reheat in a 300°F oven for about 10 minutes before serving.